Throughout December, the firm collected presents across all offices to donate to a local cause as part of a firm wide ‘Christmas Gift Donation’ initiative. 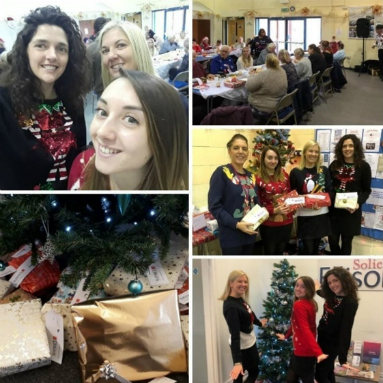 For Colchester it was Colchester Soup Kitchen, Ipswich chose Lighthouse Women’s Aid and Voluntary Services Tendring for the Tendring team. 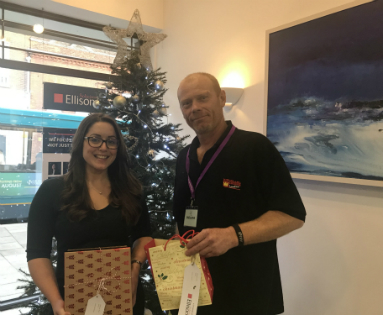 Alexandra Chisnall assisted with the Ipswich Collection and delivered 30 presents to the Lighthouse on Monday 17th December. 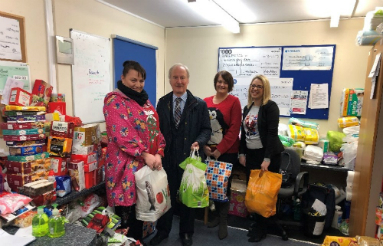 Harwich delivered 10 bags of food and other goodies ready to be turned into Christmas hampers for those in need in the local area on 17th December. Clare Clark was joined by Sophie Partridge, Alan Holden and Sarah White. Colchester presents were handed to Colchester Soup Kitchen by Bethan Williams, solicitor who chairs the firms Social Committee. Phil from Kingsland Church who will be serving on Christmas Eve and collected the gifts was delighted and overwhelmed to receive so many gifts from Ellisons. Phil said “All of these gifts will be very much appreciated and it’s great to see that Ellisons care about the local community. Thank you to all your staff". The Tendring team bought gifts for the Bereavement and Friendship Café in Jaywick. Gina Westbrook, Michelle Lamm and Hannah Wheeler gave the presents to attendees of the Group at their Christmas party. The Friendship and Bereavement Group is part of Community Voluntary Services Tendring, which runs a number of different groups in the area. The gift-wrapped presents included chocolates, hats, scarfs, gloves, socks, puzzle books, handheld torches, tooth brush and paste, deodorant and long life sweets.